The ICT Minister Yasser ElKady has witnessed the signing of an agreement between the Egyptian company SICO Technology and the Chinese Megan Group to embark on manufacturing a range of modern electronic devices in Egypt, on top of which are smartphones, where the two sides agreed to establish a new factory on an area of 3,000 meters in Borg Al-Arab Technology park. The agreement has been signed in the Chinese city of Shenzhen, the capital of the electronics industry in the world, within the framework of ElKady visit to China. SICO and a Megan have agreed to start the project in January 2017 and the full manufacturing to begin in January 2018, directing at least 65% of the factory’s production capacity for exporting as Sico owns market shares in the Gulf and Eastern Europe countries. ElKady hailed the agreement as it represents new investments to the Egyptian market and contributes to the implementation of electronics designing and manufacturing initiative, one of the key initiatives launched by the President last December. He underlined the interest of international companies to establish their positions in Egypt’s technology parks where technological work environment is provided. 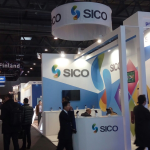 SICO Technology Chairman Mohamed Salem stated that manufacturing will not be the only thing the company will work on, but it will also begin designing Internet of Things products in Egypt and therefore the products will become 100 % local, with the support of the Ministry of Communications and Information Technology (MCIT) and by means of benefiting from the Chinese experiences.